For many people, the Koreans are the most mysterious at these Olympic Games in Rio. They have been hiding, rarely participating in training camps. Current World Champion Gwak Dong Han reached the world number one position in September 2015 after taking the world title. Gwak won the Universiade in Kazan (Student World Championships) in 2013 and the Grand Prix Jeju three times (2013-2015). He also won bronze at the Grand Slam Paris in 2016. Will he succeed his coach as Olympic champion and keep the gold in Korea or will his major rival from Georgia stop him? 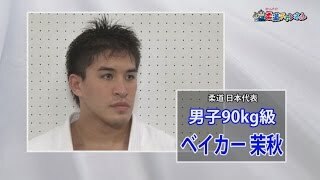 Varlam Liparteliani is one of the best stylists in judo. He is a triple European Champion in 2012, 2014 and 2016 and has won 8 consecutive European medals. He was World silver medallist in 2013 and won bronze in 2014 and 2015. He also won World and European titles with the Georgian team. Outside these two, the middleweight category is an amazing competition with many outsiders, starting with a young Japanese. Mashu Baker won bronze at the 2015 World Championships. He is also known as Masyu Beiker. He won his first Grand Slam in 2013 in Tokyo and won the Grand Slams of Baku, Tyumen and Tokyo in 2015. He was also the gold medallist at the World Masters 2016. He is a young daredevil and is a gutsy pick by coach Inoue. Another youngster in the form of Krisztian Toth grew in tremendous speed to world level and reached the World number one position in the U90kg. The Hungarian judoka won the World Junior title in 2014 in Miami and finished with silver at the Senior Worlds. Meanwhile, he won 12 World Cup medals and 4 victories in Zagreb (2), Abu Dhabi and Budapest. He is back at the top of the world with a win at the Grand Prix Budapest recently. Swedish judoka Marcus Nyman was an early talent and he is fully back in place. He won the European title in 2010 in Vienna and was European Junior Champion. He also won a World Junior medal. He won the Grand Prix Düsseldorf in 2011 and regained the title in 2016, as well as taking gold at the Grand Slam Baku and Tyumen in 2016. The man’s groundwork is superb and he is the man in shape. Noel van 't End climbed into the World Top 3 in the U90kg after victories in Minsk, Qingdao and Samsung. He won gold at the Grand Prix in Tbilisi in 2016. He has won over 10 World-level medals. After a knee injury in 2015, he came back successfully and is aiming for an Olympic medal. He has suffered a few injuries but is determined to win the first medal for the Netherlands in this category since Mark Huizinga won three Olympic medals from 1996 until 2004. Russian judoka Kirill Denisov won silver at the 2015 World Championships. He has finished six times within the top five. Denisov won the European title in 2011 and 2013, and the European Games in 2015. He won four World Championships medals and finished fifth at the London Olympic Games. Alexandre Iddir won the European Games with the French team in 2015 and with his club he won the European title in 2011 in Antalya. Individually, he won European bronze in Montpellier. Iddir won the World Cups in Rome and Tashkent. In 2015 and 2016 he won silver at the Grand Slam of Paris. Asley Gonzalez (CUB) became 2013 World Champion in Rio de Janeiro for Cuba and won World bronze in 2011. Gonzalez was the finalist of the 2012 Olympic Games in London. He won silver at the Panam Games in 2015. Gonzalez also took silver in 2013 in Paris and won 5 silver medals in 2015. In addition, he won the Grand Prix Havana in 2016. Since when is Ilias Iliadis an outsider? The Greek is a legend and became the youngest ever Olympic male Champion in 2004, aged 17. He won the European title in 2004 and added another in 2011. He has won 3 world titles in 2010, 2011 and 2014, with 6 world medals. 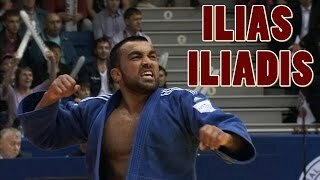 Iliadis is one of the most beloved judokas and is always a candidate for an Olympic medal. Tiago Camilo (BRA) is 2000 Olympic finalist and 2008 Olympic bronze medallist. He won the 2007 World title in Rio. He is the only man who has won the Pan American Games three times in 2007, 2011 and 2015. He was 1998 junior World Champion and is qualifying for this 4th Olympic Games. He needs a miracle for this one, but in Rio, nothing is impossible. Middleweight legend Tiago Camilo will go for the miracle. Camilo won silver at the 2000 Olympic Games in Sydney, and although he missed the 2004 edition, he took bronze in 2008 and was close to an Olympic medal in 2012. Rio 2016 will be his fourth Olympics. In Rio he became World Champion in 2007, so there might be a proven home advantage for a miracle. In this category, both Camilo and Iliadis have participated four times.